Since last year's list, Google climbed over Samsung to take the second spot, sliding the South Korean manufacturer into third. 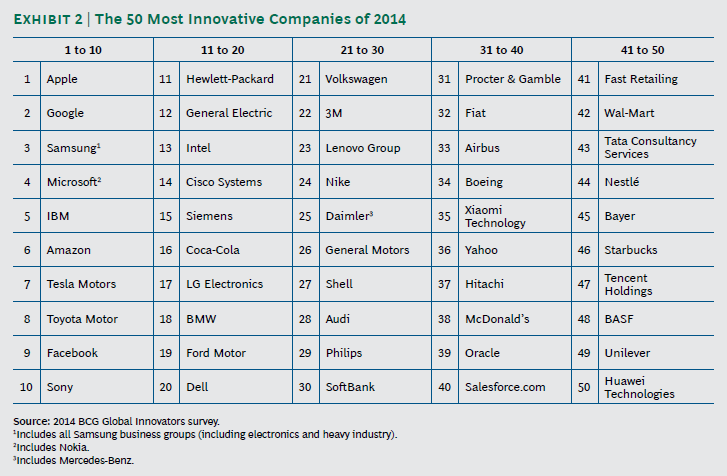 Three companies vaulted into the top 50: The Japanese conglomerate Hitachi landed at No. 37, Marc Benioff's SalesForce.com landed at No. 40, and the Chinese phone maker Xiaomi made it all the way to No. 35.